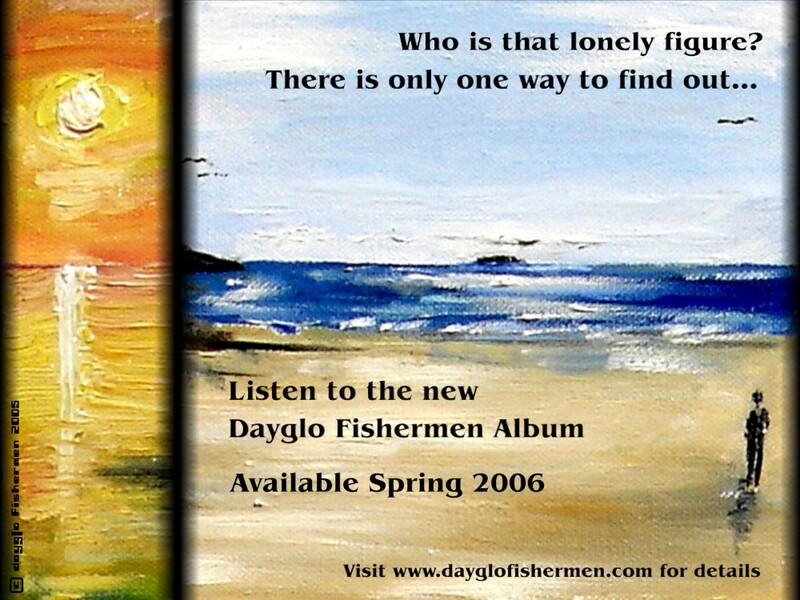 The release of the new Dayglo Fishermen album feels tantalisingly close. And it is, according to the information in the video teaser trailer published this month. We can expect it no later than November 2015. Such teasers are rare for Dayglo Fishermen. The band usually keep everything under wraps until the moment of release. But there have been some previous examples. 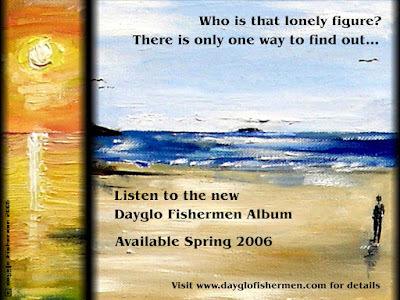 The band's 1993 album 'The Dayglo Fishermen' had two tracks released three months early under the name 'Horoscope'. The tracks had different names and lyrics to the final album tracks, but they certainly pleased those finding it hard to wait for the full release. And the bizarre and disturbing cover artwork made it something hard to ignore. Two further teasers were released, but in the less generous form of posters. 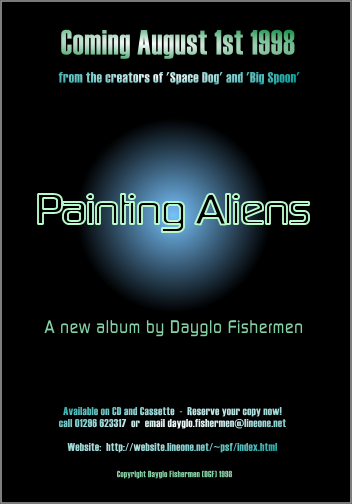 The 'Painting Aliens' album was announced two months before release. 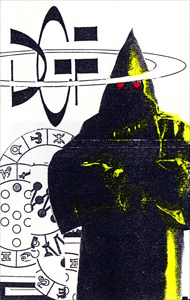 The poster was a little too revealing, giving away the album's full title, but at least it refrained from revealing the striking cover image, which was to become one of the band's most memorable. In January 2006 a poster appeared to promote what was to become the 'I Can See a Boat ... It No Longer Floats' album. Part of the albums glorious artwork was revealed, but thankfully the title remained a secret. The poster announced that the album was due in the Spring of that year, but for various unfathomable reasons it was not released until October. It must have tried the patience of those keen to get their hands on the much anticipated release, after having waiting more than three years since the release of the previous album. It would certainly have induced a sense of stressful desire to hear the album. But that is the power and the point of a good teaser release, whatever its form. It should do more than just wet the appetite. It should initiate a feeling of tense anticipation, and grow enthusiasm with every viewing or hearing. Dayglo Fishermen's 2015 teaser trailer certainly succeeds in that respect.